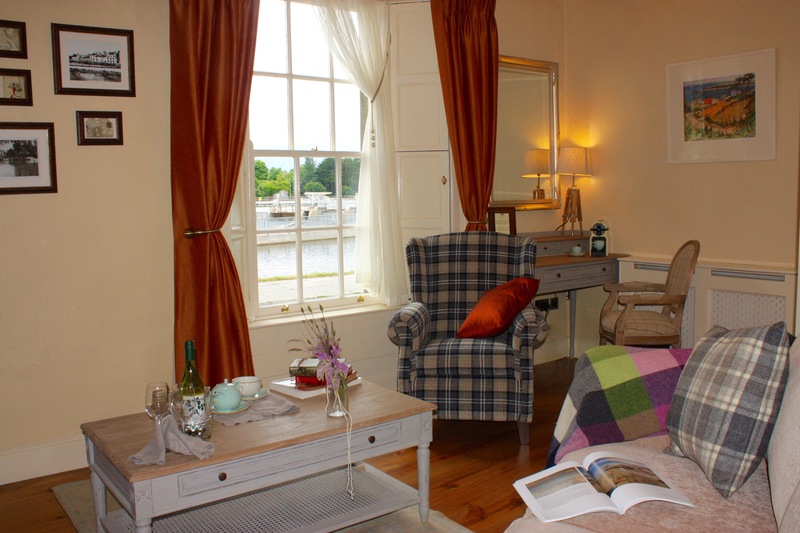 Our beautiful Riverside Suite enjoys unrivalled comfort with spectacular views over the River Corrib and Salmon Weir. Split over two levels with a beautifully appointed bedroom with exquisite furnishings and a king-sized double bed and large en-suite w/ shower on the upper floor. A spacious and luxurious living room adjoins on ground floor level overlooking the flowing waters of The River Corrib crashing over the Salmon Weir.